A wonderful tour for both the avid horticulturists and for those who just want to add another dimension to their Italian experience. We visit the best gardens of Italy, many with local guides, in addition to some general sightseeing and excellent local food and wine. There is plenty of free time to see museums and other sights, indulge in some shopping or to just sit back, relax and let the magic of bell’Italia wash over you! Arrive at your own convenience at the hotel, where we meet in the late afternoon to go for aperitivi and our welcome dinner in a typical Roman trattoria near Campo dei Fiori. 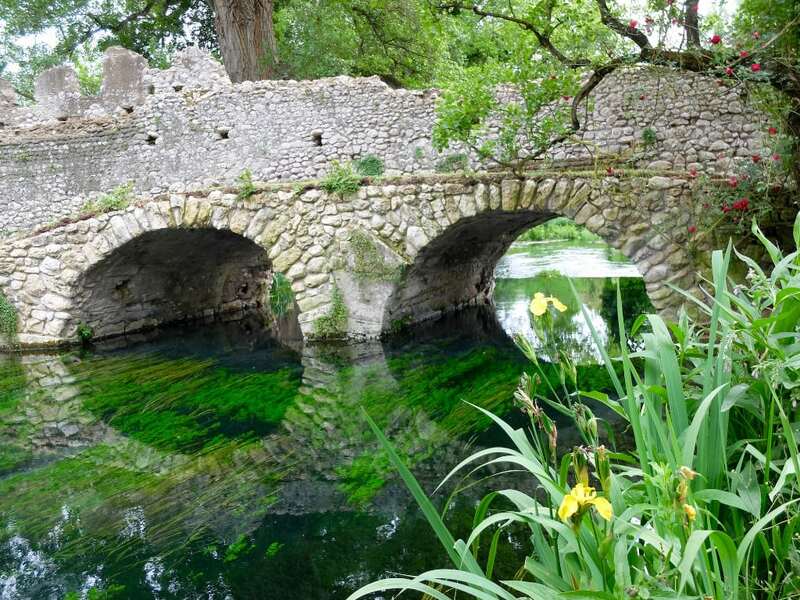 Today we will drive just south of Rome to visit the Garden of Ninfa, perhaps the most romantic garden in the world. 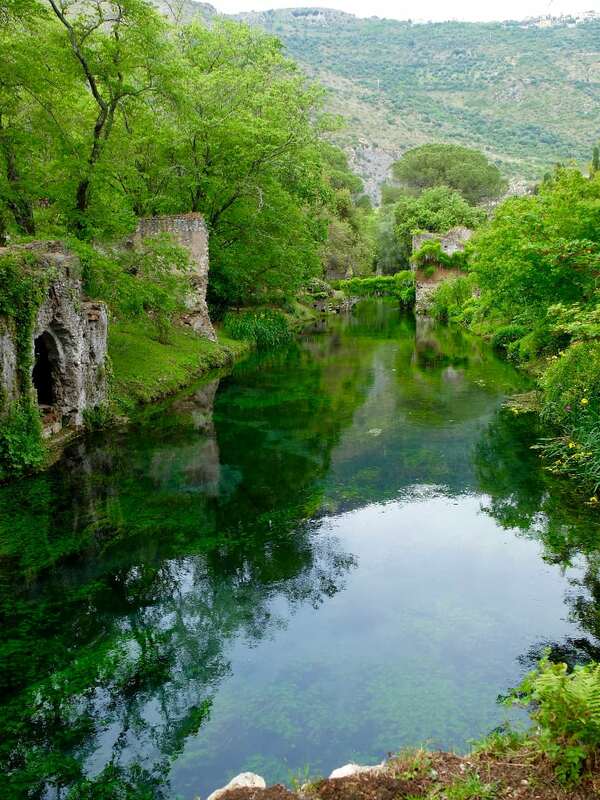 The prosperous town of Ninfa was abandoned in the 14th Century and left as a medieval Pompeii until Prince Gelasio Caetani and his English mother started to create a garden around, on and in the ruins of the old town in the 20th Century. On our trip back towards Rome, we stop at Castel Gandolfo, the Papal summer palace and visit the gardens of the Villa Barberini with an official guide. 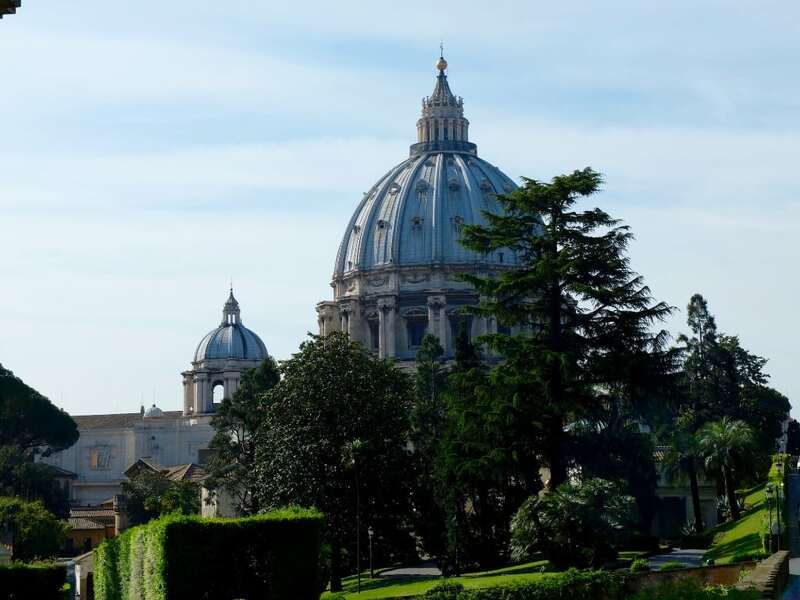 We start this morning with a walking tour of the Vatican Gardens, the enormous, previously private gardens of the Pope. Our ticket to the Gardens includes entry to the Vatican Museum and the Sistine Chapel so, time permitting, you can spend an hour or so in the museums, before we head back to our hotel. In the afternoon you have free to explore the Eternal City; catch-up on shopping and postcards or just put your feet up. Our hotel is next door to some of Rome’s key attractions including the Pantheon, Spanish Steps, the Corso shopping district and the Trevi Fountain so it will be easy to do a combination of all activities. 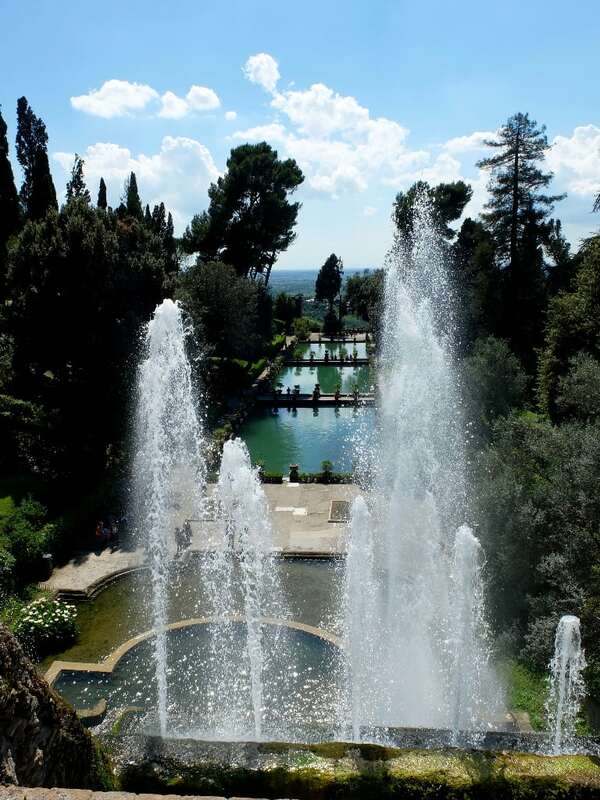 This morning we drive north to visit two of perhaps the most famous Italian gardens, conveniently located in proximity to each other at Tivoli. Our first stop is at Villa Adriana, the ruins of Emperor Hadrian’s villa, built from 117AD. The ruins were rediscovered in the 15th Century and became a source of inspiration for the great Renaissance architects & designers. Cardinal Ippolito d’Este oversaw extensive excavations in the 16th Century while he was Governor of Tivoli. It is to his palace, the Villa d’Este, that we head off to in the afternoon. 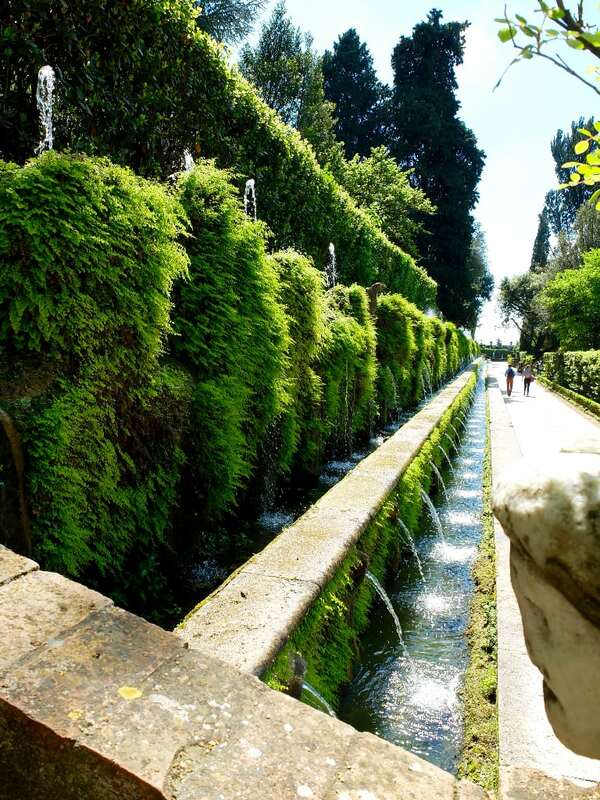 The Villa d’Este is one of the most impressive of the high Renaissance gardens and we will spend a delightful afternoon wondering through the hectares of gardens. Today we leave our base in Rome and transfer to Florence. On our way we stop at the Castello Ruspoli, a wonderful traditional Italian garden that boasts hedging dating back to the 1600s. We have lunch in the pretty hilltop town of Vignanello before driving on to Florence. We’ll arrive in time for you to settle in and relax before the excitement of the next few days. Today we explore two of the important gardens within the city of Florence. Firstly, we visit the private Torrigiani gardens in the morning. Once inside these huge gardens you can so easily forget you are in the middle of a crowded city. After lunch we visit another garden in central Florence – the Bardini Gardens – with their wonderful views out over the city and its river Arno. art are a tempting attraction, but its famous markets and beautiful piazze are just as inviting. garden was loved by a long-list of English and American ex-pats and in fact, Cecil Pinset spent time here studying its layout. We’re on the road again today, heading north to the enchanting small city of Verona. Our route takes us through Modena, famous as the centre of Italy’s balsamic vinegar industry. We’ll stop along the way to visit an acetaia, a traditional balsamic vinegar producer, where we’ll learn why this tightly controlled product is as expensive per litre as the best champagnes! We arrive in Verona in time for the afternoon passeggiata, the leisurely stroll through the streets and piazze of this most romantic city with the rest of its gentlefolk. and an enormous cypress beloved of the poet Goethe, was designed in 1570 by Agostino Giusti, a knight of the Venetian Republic. We’ll enjoy the spectacular views of Verona from the belvedere as well as exploring its lovely palazzo. We leave the afternoon free to wander through the charming pedestrian streets of the city. great relationship with one of the smaller quality producers in the area, who are also sensational chefs. So our road north to Bellagio today will be punctuated by a enjoyable break at this wonderful small winery, a tour of the their production facilities and a memorable lunch. We arrive at Bellagio mid-afternoon in time to settle down for aperitivi on the hotel’s terrace overlooking the exquisite Lake Como. white peacocks who just love to put on a gaudy display. We spend our last day criss-crossing the waters of Lake Como to see some beautiful villa gardens. We visit two of the most famous, Villa Melzi and Villa Carlotta. These two gardens are in part the product of the rivalry between Francesco Melzi d’Eril and his neighbour across the water Giovanni Battista Sommariva as they tried to outdo one another in an open display of horticultural one-upmanship. Today we depart our base and transfer back to Milan’s Malpensa airport, arriving by 12pm and on to Milano Centrale station, where we arrive by 1pm.